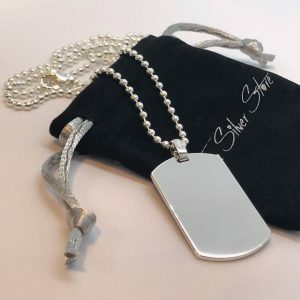 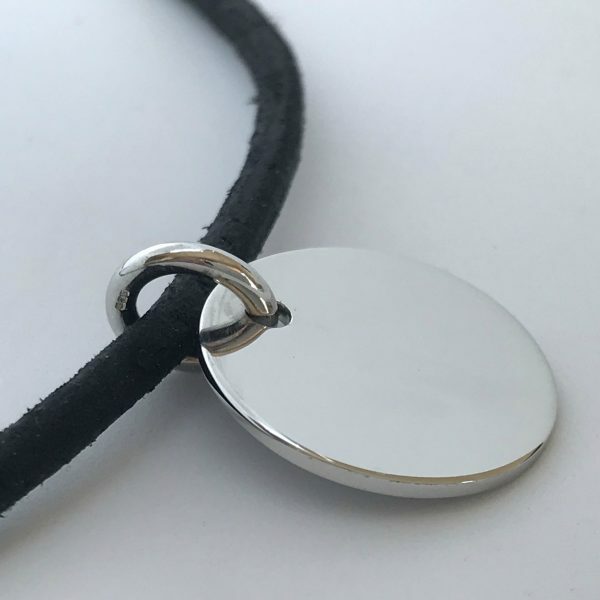 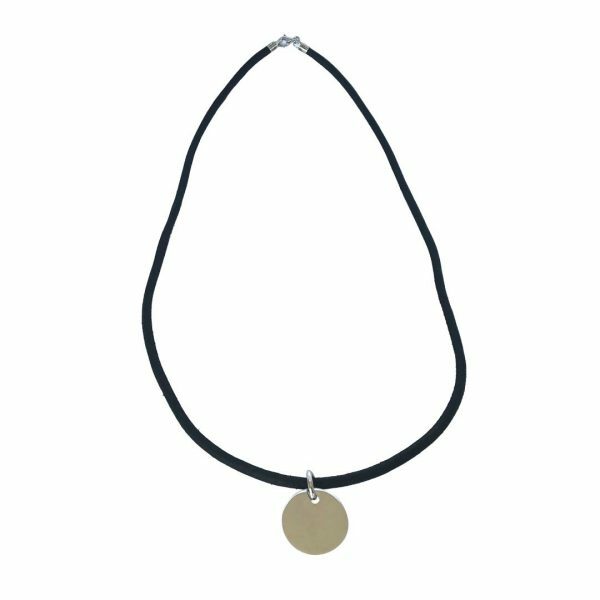 Mens sterling silver disc necklace with leather chain. 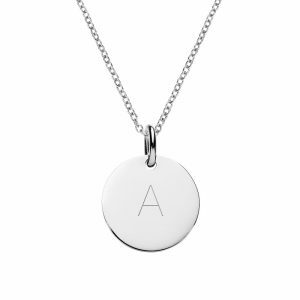 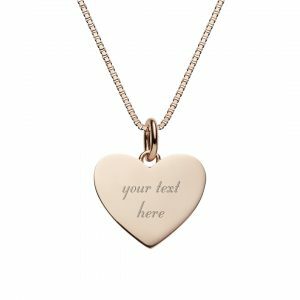 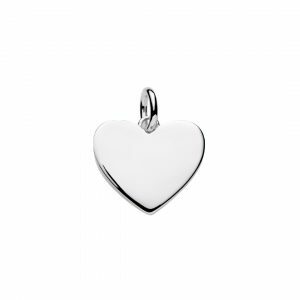 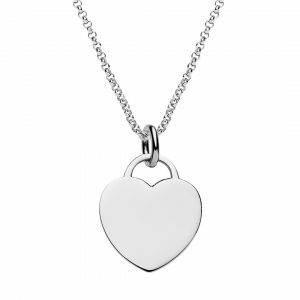 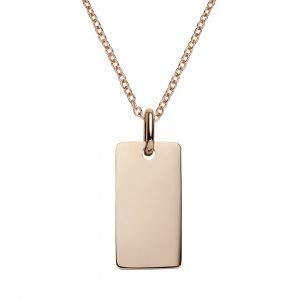 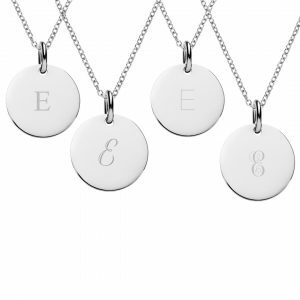 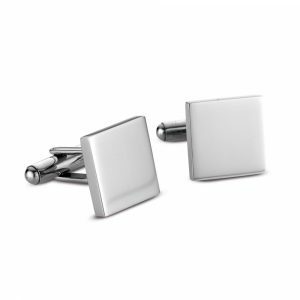 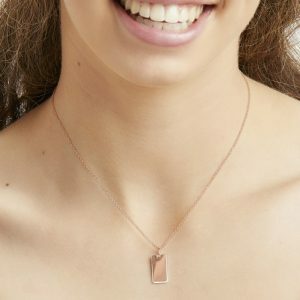 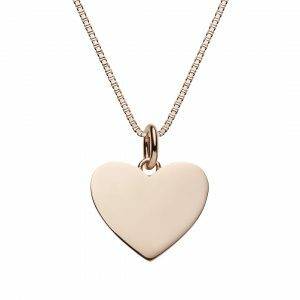 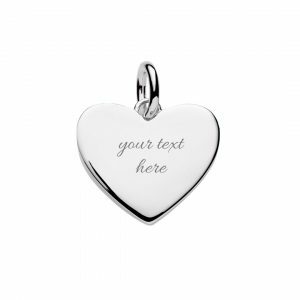 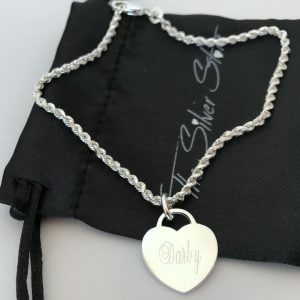 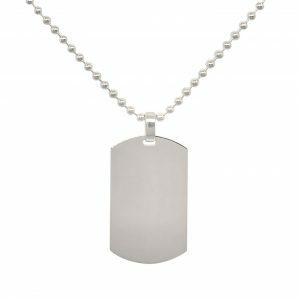 The sterling silver chain can be engraved on both sides with any name, text, date or symbol. 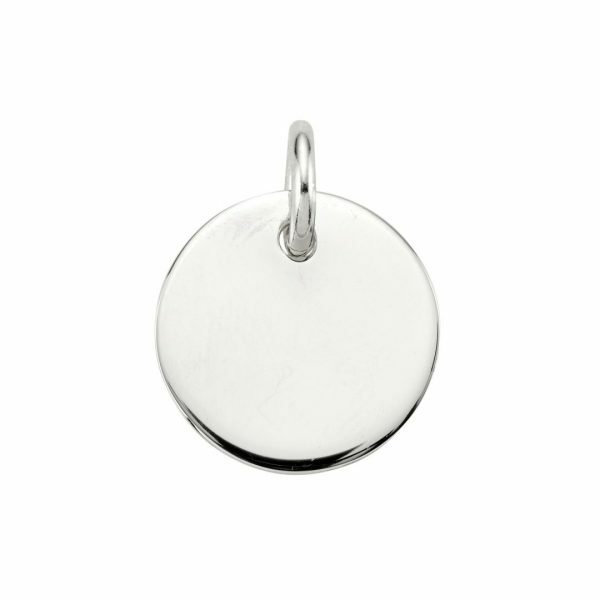 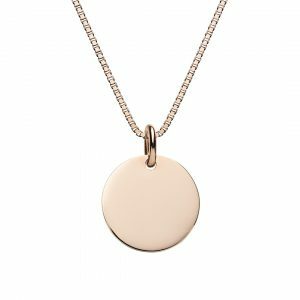 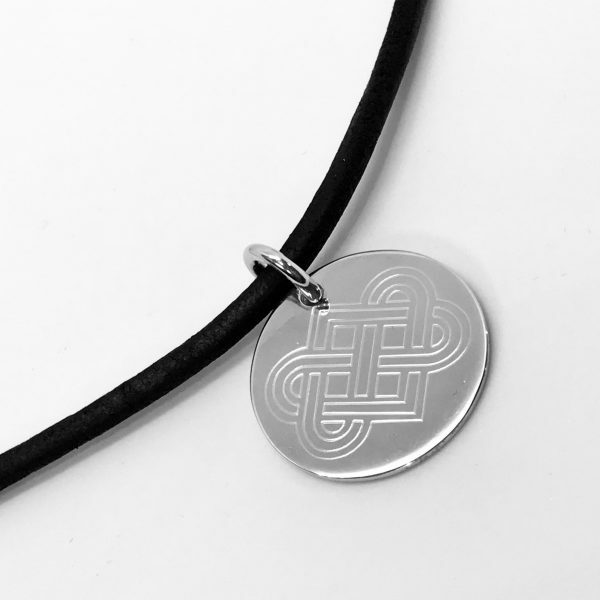 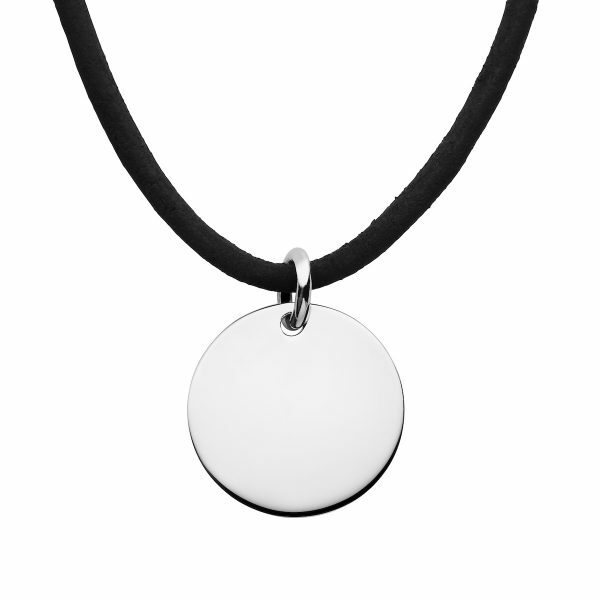 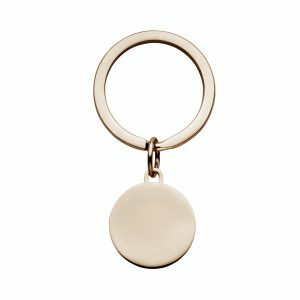 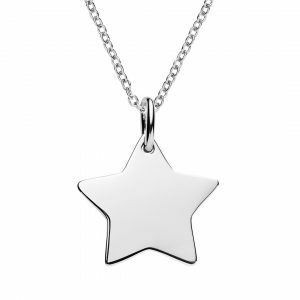 Sterling silver disc is 25mm wide, and the leather chain is 3mm wide x 55cm. 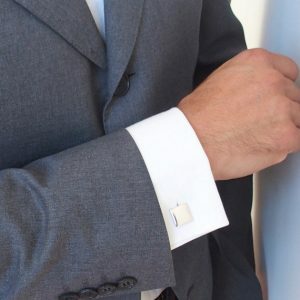 The 25mm disc is made from sterling silver. 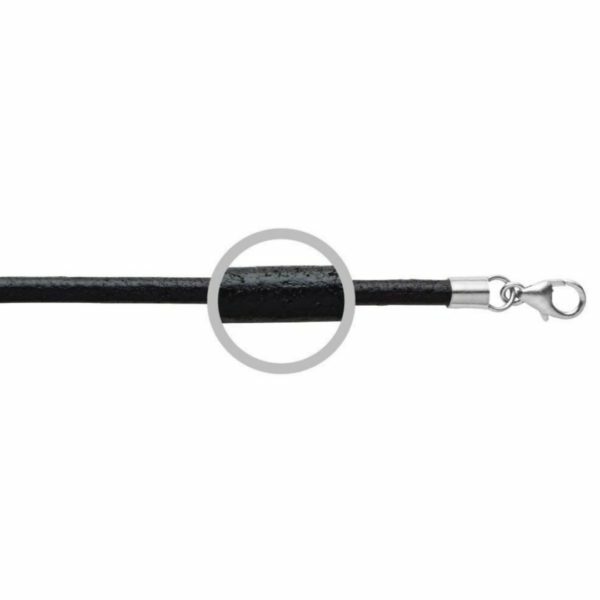 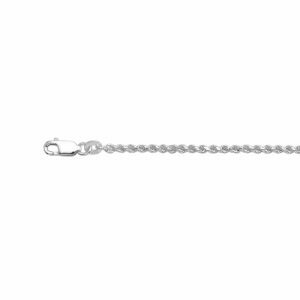 The leather chain is 3mm wide and 55cm long with a lobster clasp.